[By Nick, New for 2017] Time to officially kick of the 2017 ice cream season with the first brand spanking new product of the year! Minus the reduced fat part, this is the kind of flavor I'm hoping to see from companies this year. Different, yet familiar. It sounds like a fluffernutter pie of sorts. I want to see companies think outside the box instead of just playing it safe like normal. If Hood can do it, anyone can. Now the question is, were they successful? In one word, nope. 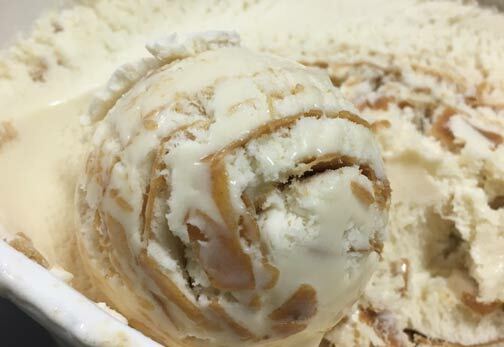 There's one thing in this ice cream that did succeed and that was the peanut butter swirl. It's thick, nutty and tastes as if it was straight from the jar. That sweet and salty combo is as it should be. The problem is literally everything else about this ice cream. The reduced fat nature makes it feel watery than creamy. It's not smooth as it should be and I've seen better bases from non fat frozen yogurt. I'm not sure how they managed to make the mouthfeel that bad but hey, kudos to them. The marshmallow flavor is nonexistent. Marshmallows are near and dear to my heart and this ice cream has no resemblance to that flavor. It's pretty much a very weak vanilla base which also could be due to how watered down everything feels. The worst part is the graham pie crust pieces. There's absolutely no graham flavor at all. The pieces actually taste very weird. I'm not sure how to describe it but there's some sort of coconut taste and waxy like feeling to them. I can't quite put my finger on it but whatever it is, it's gross. I don't know if I got too excited with this one because it's the first new flavor of 2017 but this ice cream was utterly disappointing. Nothing worked about it besides the peanut butter swirl. Hopefully this is not a theme for what's to come this year. Sorry to hear about a rough start to 2017 in the ice cream world. I, too, feel many companies have become passive over the past couple of years. Ben & Jerry's (my #1 or #2 brand) didn't break any new ground last year, especially with Chocolate Cherry Garcia, which used to be a frozen yogurt. I'm hoping the new Urban Bourbon and Truffle Kerfuffle flavors are a sign they are branching out again! In terms of Hood, I relate it to what Hagan is in Pennsylvania: enticing flavors, but they never really stand up. The good thing is, it can only get better from here! I do not waste my money on Hood ice cream anymore. It's always a disappointment. Reduced fat? Pass! I want full flavor, not wateriness! Reading those ingredients(I ALWAYS do with ice cream)would have probably caused me to never look at that brand again and certainly not at that flavor. 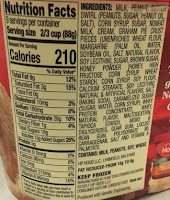 More corn syrup than cream in something labelled "ice cream" shouldn't even be legal. 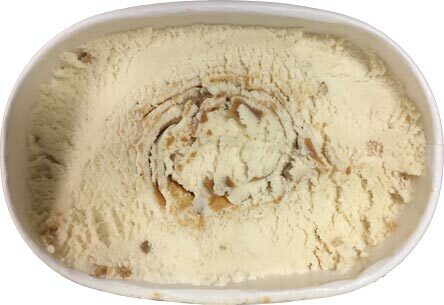 Question: Do any of you know of a peanut butter ice cream without mix-ins? I've been looking for one for a while now. 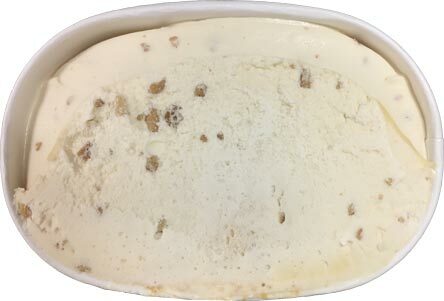 I just tried my first flavor of Perry's ice cream tonight that I saw in Wegmans (Zero Visibility). It's supposed to be a coconut rum ice cream but it honestly just tasted like vanilla with sweetened shredded coconut pieces. It was good, but for close to $5 I expected a lot more (not to mention I expected at least a subtle rum flavoring which I didn't find at all). So I'm with you, what a disappointing start to the year! No where to go now but up, right? Hopefully! This is why ingredient quality tends to make a difference - just saying. @Anton: I do agree that B&J's needs to shake things up a little, but I think a lot of people's comments come off like B&J doesnt still make good ice cream. 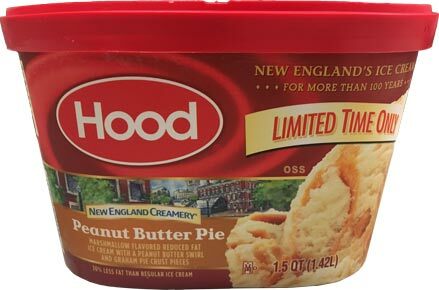 @Brad & @Liz: Hood has never been anything more then a budget / entry level brand, but that said, we've had some success with their new england creamery line. @Aaron: nope! 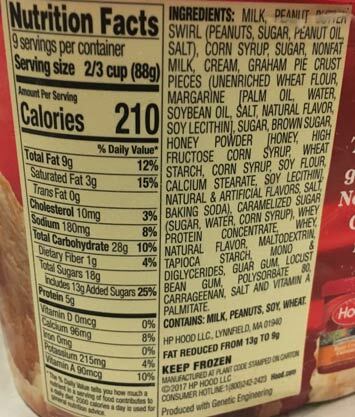 plain pb ice cream just isnt really a thing. @Caitlin: Perry's is a mainstream brand, so it will be built accordingly. I would give them one more shot if you can but wait for a sale if you want! As for the new B&Js, Every time they put out a new flavor, I become fearful that they will axe their Peanut Buttah Cookie Core flavor. I know it will happen eventually but I'm not sure I will be able to survive without it. I love hood cookies and cream but this stuff was weird....I couldn't get over the coconut taste...Where is it coming from?! Why?! Forced me to google the ice cream to see if it was just us...Guess not!